These were recommended by fans during the year of 2003. 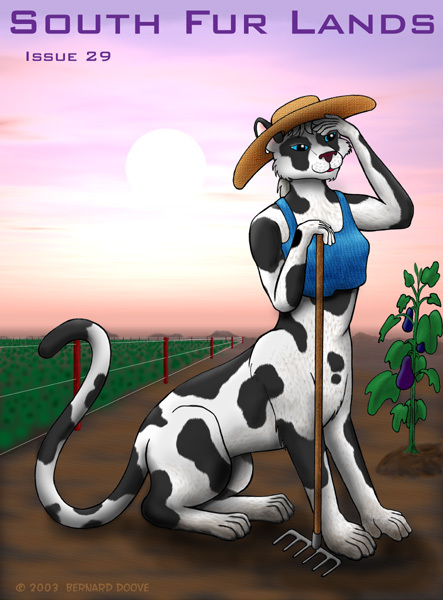 See the Recommended Anthropomorphics List to read and recommend worthy efforts for this year! Scott Bradfield, "Doggy Love", in The Magazine of Fantasy & Science Fiction, August 2003. Gene Breshears, "Kiss and Tell", in Tales of the Tai-Pan Universe #32, March 2003. Phil Geusz, "A Man's Touch", in TSAT (Transformation Stories, Art, Talk) #26, February-March 2003. Phil Geusz, "Pelton" in TSAT (Transformation Stories, Art, Talk) #31, December 2003- January 2004. M. C. A. Hogarth, "In the Line of Duty" in Anthrolations #7, November 2003. Charles P. A. Melville, "Riding the Lady", in Tales of the Tai-Pan Universe #33, July 2003. Michael H. Payne, "Law and Justice", in Black Gate: Adventures in Fantasy Literature #5, Spring 2003. Dillon, Leo & Diane. 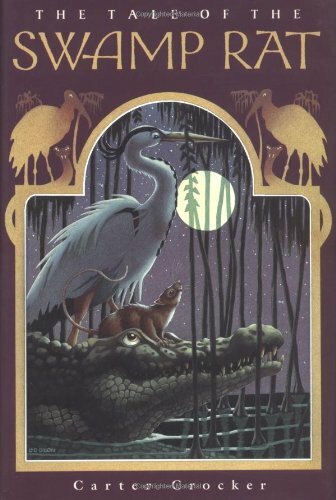 Cover painting for The Tale of the Swamp Rat, by Carter Crocker. Philomel Books, September 2003. Doove, Bernard. Cover painting for South Fur Lands #29, June 2003. Hewitt, Peta. 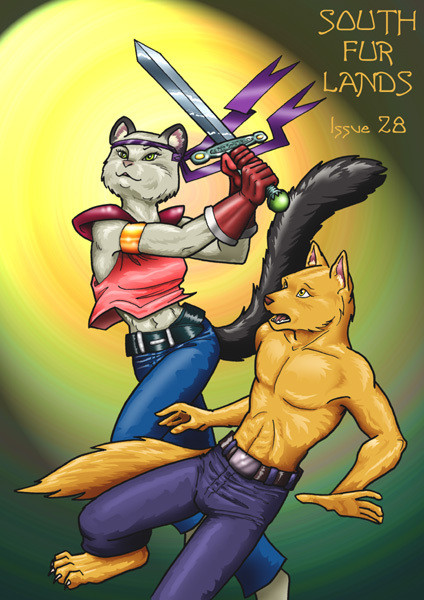 Cover painting for South Fur Lands #28, March 2003. Hewitt, Peta. Cover painting for South Fur Lands #30, September 2003. Howell, Troy. 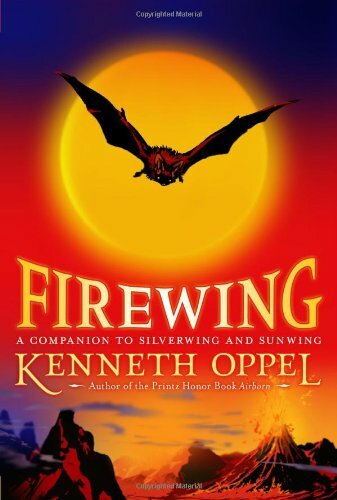 Cover painting for Firewing, by Kenneth Oppel. Simon & Schuster Books for Young Readers, February 2003 (U.S. edition). Maltzman, Kacey. 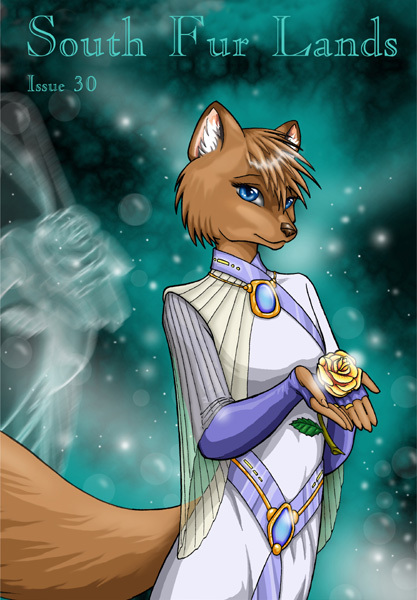 Cover art for Fur Visions #27, January 2003. Meyer, Susan. Cover painting for Furrlough #130, October 2003. Rigdon, Sky. "Husky in Buddhist Robes", interior illustration in North American Fur #11, January 2003. Vernon, Ursula. Cover painting for Best in Show: Fifteen Years of Outstanding Furry Fiction, edited by Fred Patten. Sofawolf Press, July 2003. Woodbury, C. D. (Bluesman). "Busker at Pike Place Market", interior illustration (page 41) in Conifur Northwest 2003 Program Book, September 2003. Yamaneko-ya. Cover painting for Genus #62, October 2003.